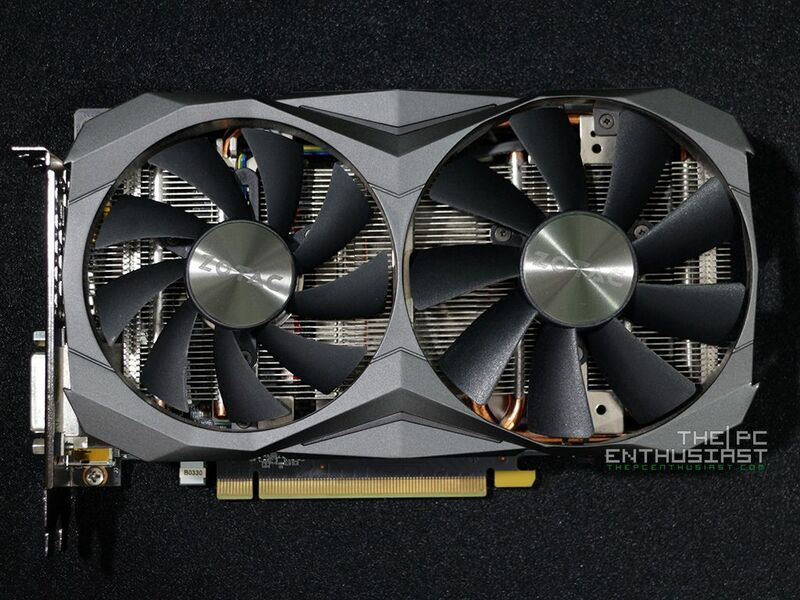 Before this year ends, NVIDIA released a new graphics card to combat AMD’s Radeon RX Vega graphics cards; specifically the RX VEGA 56. That graphics card is none other than the GeForce GTX 1070 Ti, a slightly cut down version of the GTX 1080 and uses slightly different configuration. 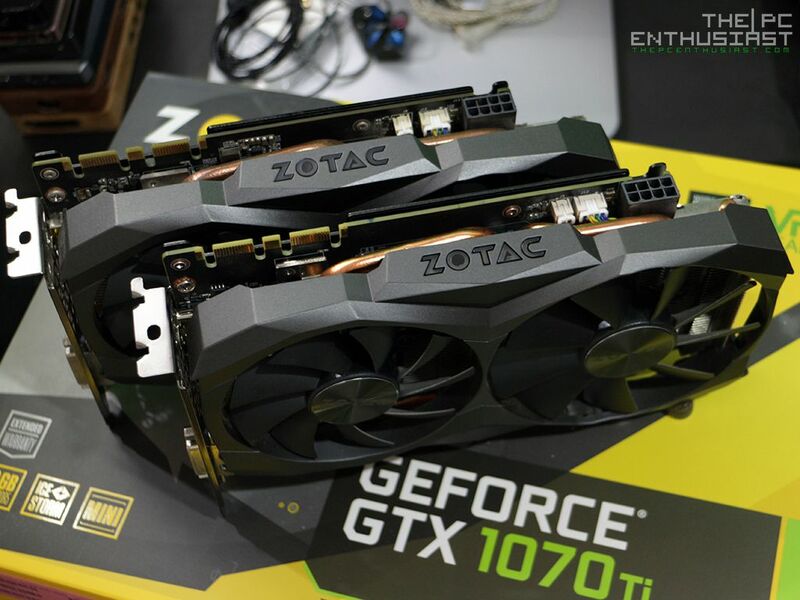 Today we review the Zotac GeForce GTX 1070 Ti Mini graphics card, currently the only GTX 1070 Ti available that features a small form factor design. Most probably by this time, you have seen Zotac released the GTX 1080 Mini (our review here), and we were quite impressed about it. Then the company released the GTX 1080 Ti Mini; quite impressive that they were able to shrink a 1080 Ti to that size. 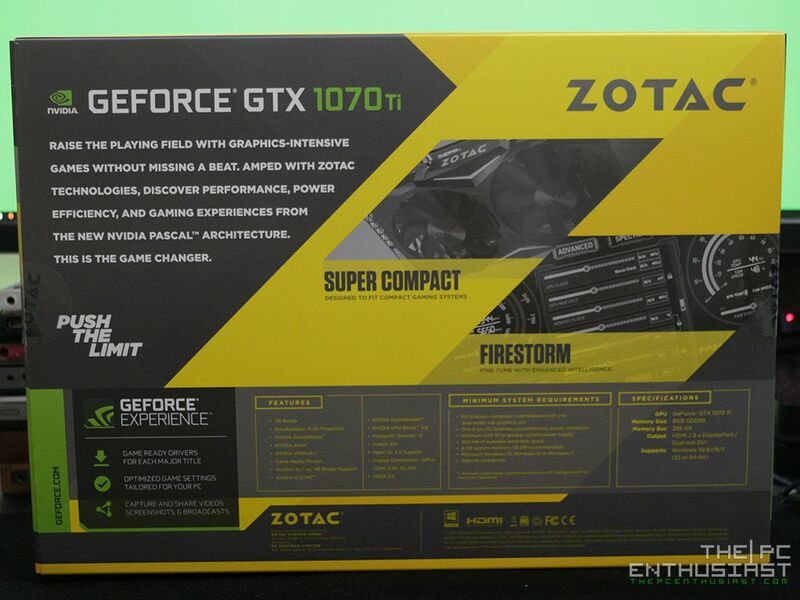 And finally they released the GTX 1070 Ti Mini; and I was expecting Zotac to release a “Mini” version of the new graphics card. Are you currently in the market looking for a new graphics card? Or are you just curious how a GTX 1070 Ti Mini performs, specially compared to other full sized GTX 1070 Ti? Then please proceed and continue reading our Zotac GeForce GTX 1070 Ti Mini review below. 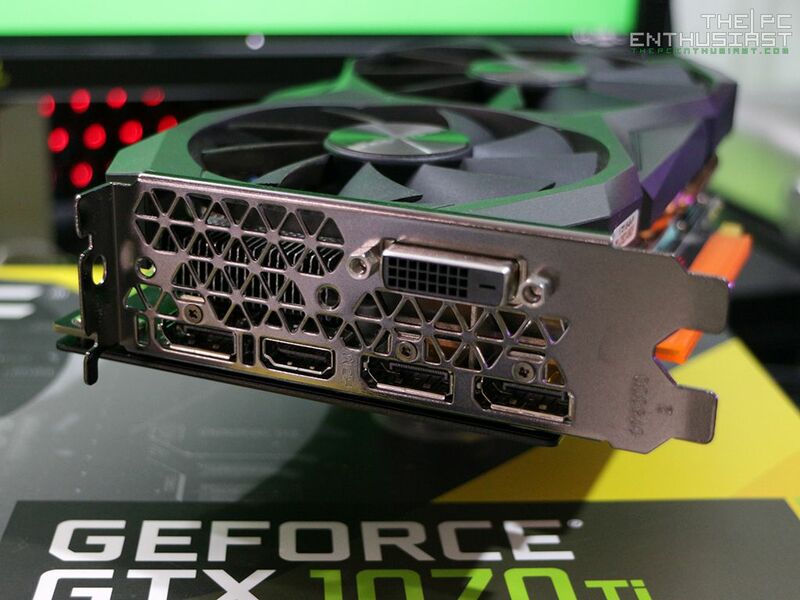 The GeForce GTX 1070 Ti is NVIDIA’s latest graphics card designed to compete with AMD’s Radeon RX VEGA 56. If you have seen or read some RX VEGA 56 reviews, then you know that it performs faster than the GTX 1070 and sits in the middle of the GTX 1070 and GTX 1080. Thus NVIDIA released this GTX 1070 Ti to counter that; and to beat the RX VEGA 56, they have to make it a little bit faster than the RX VEGA 56. The GTX 1070 Ti also sits in between the GTX 1070 and the GTX 1080, but not really in the middle. In fact it’s somewhere (very) near the GTX 1080; and with some adjustments or overclocking, it can actually perform on par with a GTX 1080! Under the hood, the GeForce GTX 1070 Ti is a slightly trim down version of the GTX 1080. It is powered by a GP104-300-A1 GPU with a clock speed of 1607MHz and a boost clock speed of 1683MHz. 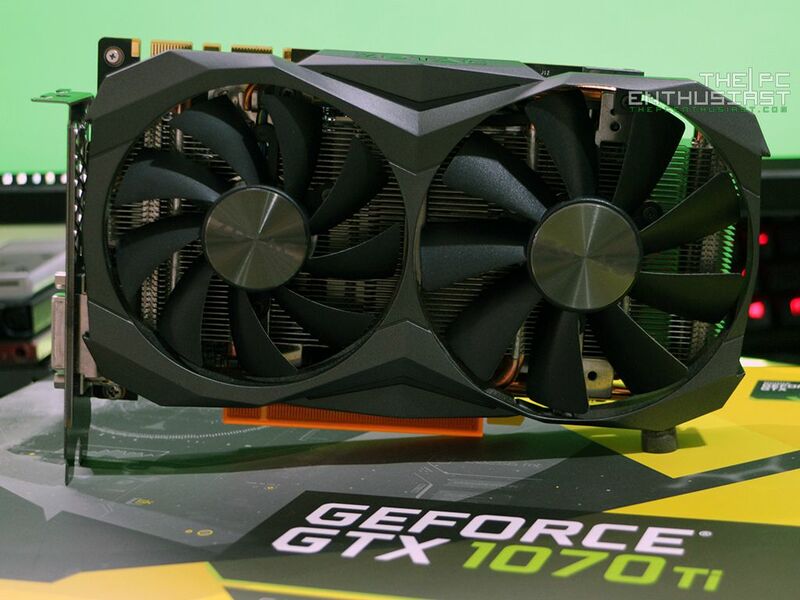 Unfortunately, NVIDIA didn’t allow AIBs partners to ship factory overclocked GTX 1070 Tis. So all the GTX 1070 Tis you see in the market, regardless of brand or model, they all ship with the same stock clock speeds. But this doesn’t mean you can’t overclock it. Yes you can manually overclock it; and the results are surprising (or not). Unlike the GTX 1080, it uses GDDR5 memory instead of GDDR5X. It has 8GB of GDDR5 memory with 8Gbps speed, 256GB/s memory bandwidth and runs on a 256-bit memory interface. It has a TDP of 180W and draws from a single 8-pin power connector. 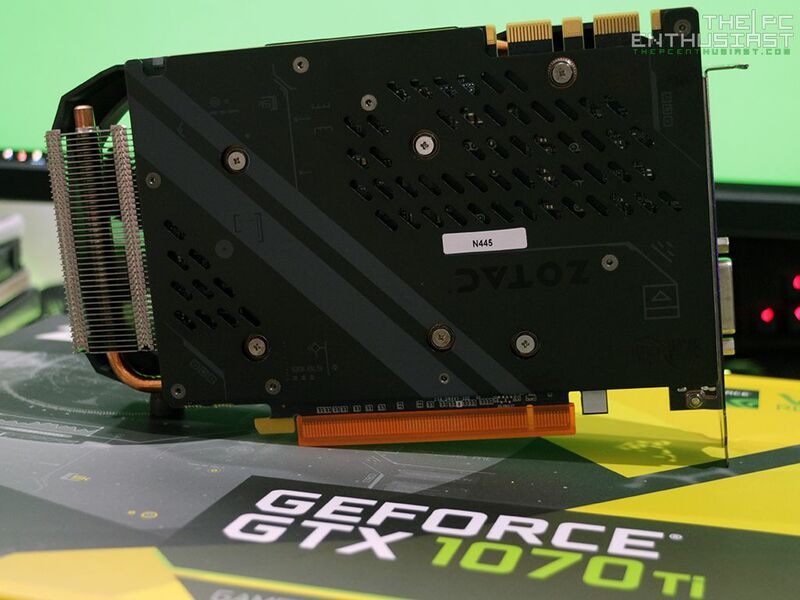 The Zotac GeForce GTX 1070 Ti Mini shares the very same design with the GTX 1080 Mini. Zotac used the exact same cooler and design. In fact, if you put a GTX 1070 Ti Mini and GTX 1080 Mini side by side, you won’t be able to tell which one is which. I’m not really surprised about it, since it was a good design. Anyway, let’s take a look on the GTX 1070 Ti Mini below. Just like the Zotac GTX 1080 Mini’s packaging, there is no indication that what’s inside the box is the “Mini” version. I think this is true with the GTX 1080 Ti Mini as well. 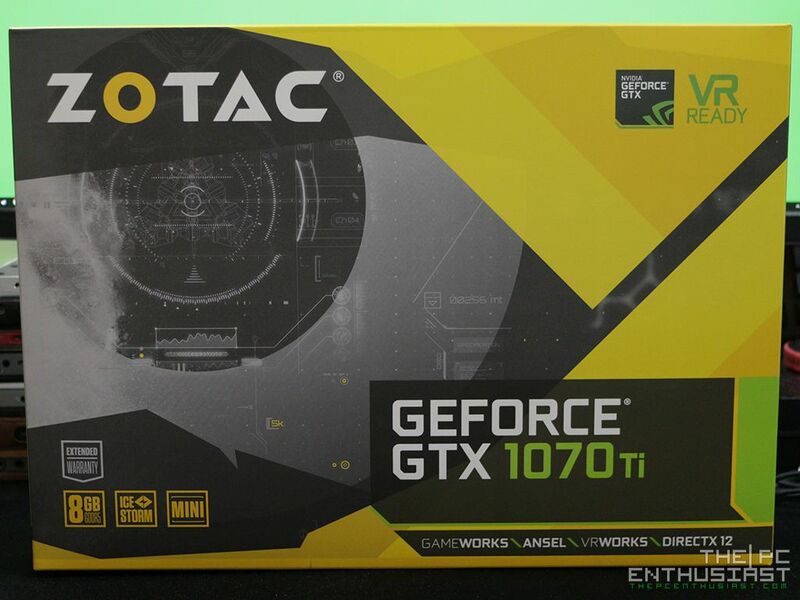 Not sure why Zotac keeps using a larger box for a “Mini” product, but as you can imagine there’s a generous amount of padding inside that protects and cradles the GTX 1070 Ti Mini. You also get a quick installation guide, a driver CD and an 8-pin adapter. Like I said earlier, if you have seen (or own) a GTX 1080 Mini, they look exactly the same. Above you can see the front and the back portion of the graphics card. It’s a very nice design by the way; well-built and pretty solid. But considering its size, I don’t really consider it as “Mini”. Probably the correct term would be “Compact”, just like I mentioned in my review of Zotac’s GTX 1080 Mini. At this point, I’m quite certain that the dual fan cooler and the heatsink are sufficient to cool the GTX 1070 Ti Mini. The same cooler and design was able to cool their GTX 1080 Mini; so I have no doubt in its capabilities. It doesn’t feature any fan stop or “FREEZE” though, unlike with Zotac’s full sized graphics cards like the AMP Edition and AMP Extreme. But the fans are still very silent while running on auto. As for connectivity options, the GTX 1070 Ti Mini has three DisplayPorts 1.4, one HDMI 2.0b and a DL-DVI-D output ports. They are the usual output ports you see on most graphics cards nowadays. Above you can see the GTX 1070 Ti Mini right beside the GTX 1080 Mini (top). 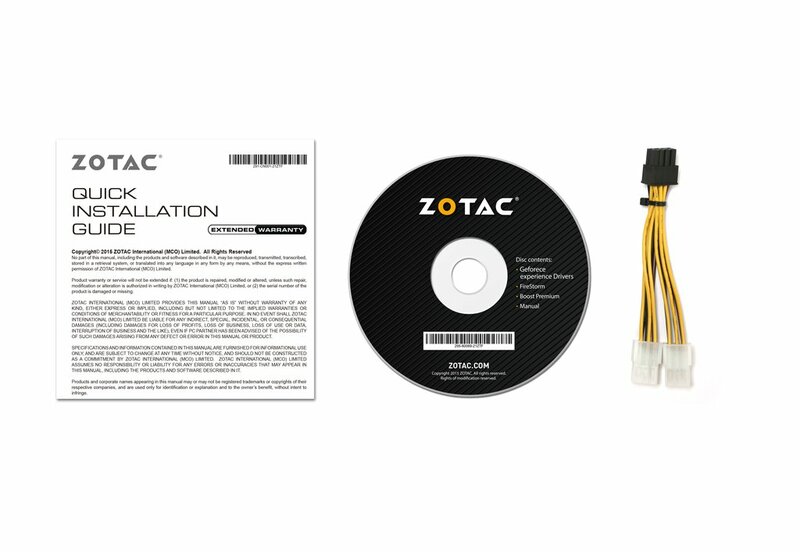 The Zotac logo has white LED illumination; as well as the two angled bars on the middle of the cooler shroud. Now let’s proceed to the next page and see how this GTX 1070 Ti Mini performs.